Vaseem Khan Bahamani in studying EEE first year in Vidyanikaten Engineering College, Andra Pradesh. His father is suffering from Hepatitis B and his brother is a thalassemia patient. Family have money issues due to which it is difficult for Vaseem’s father to pay his college fee. He got a merit seat in Vidyanikaten Engineering College . Lifeline foundation conducted 2 rounds of interviews and provided a scholarship of 40,000 INR in the name of college . Cheque was issued in the name, ‘the principal, sree Vidyanikaten Engineering College’. We hope that student, Vaseem khan will excel in his Studies despite of the challenges. 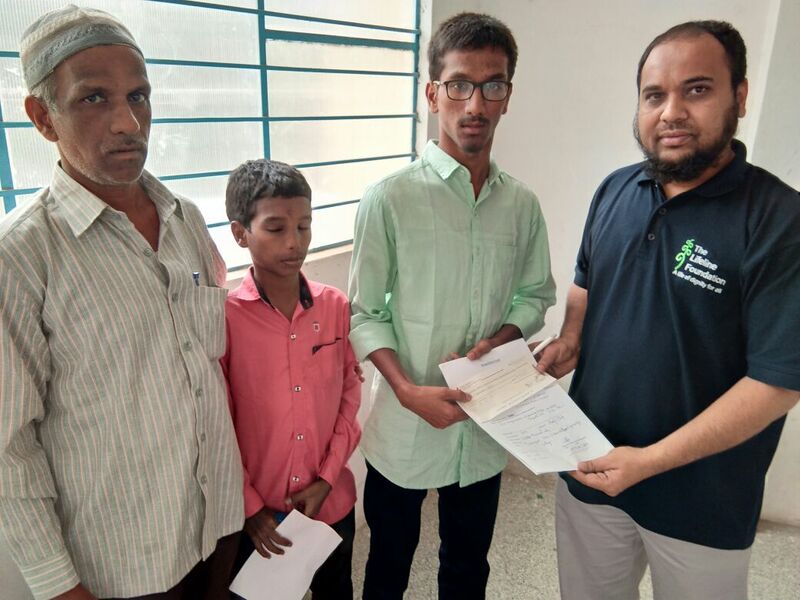 His Sibling, little one also was given a small amount towards his medical expenses in the name of Sri Lakshmi Narayana medicals. he is suffering from thalassemia.